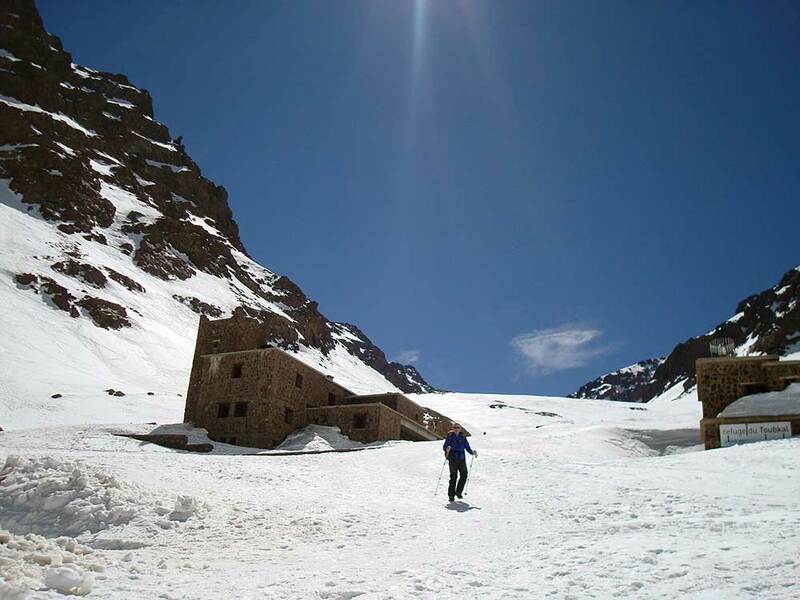 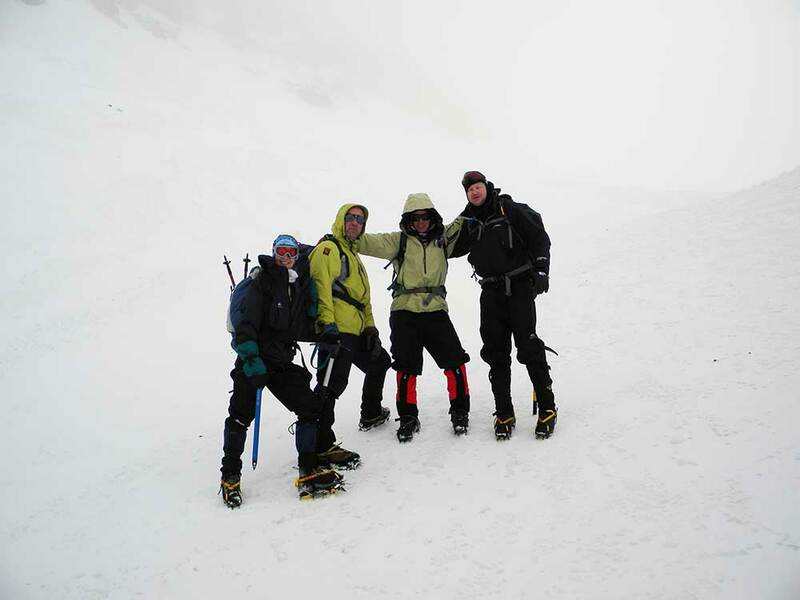 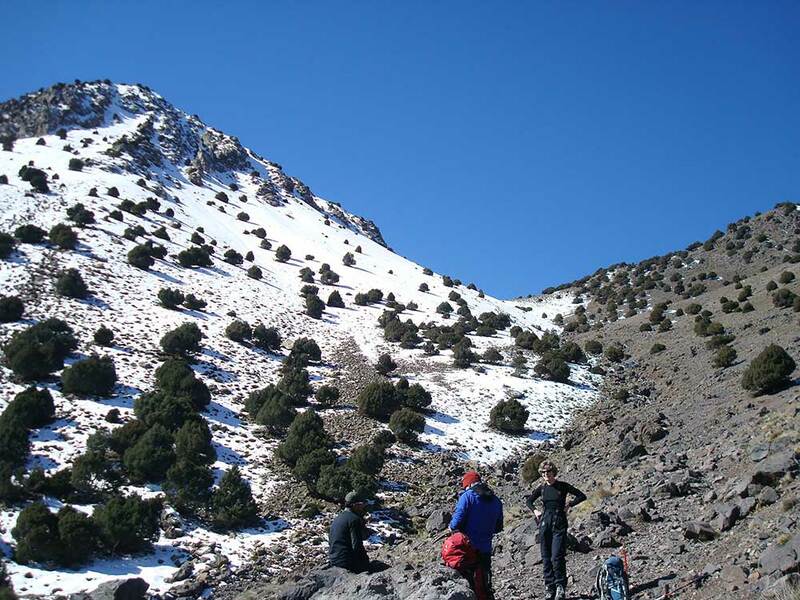 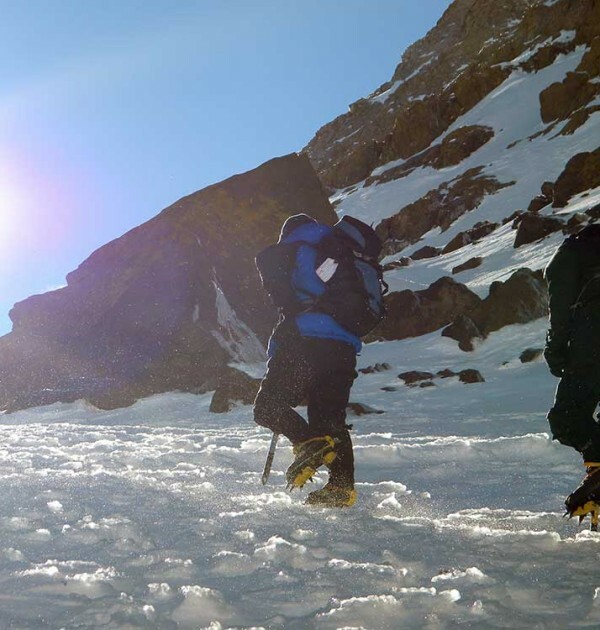 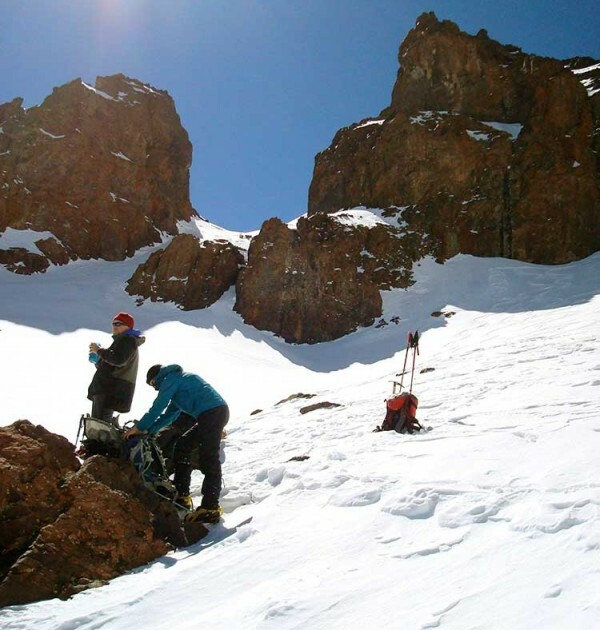 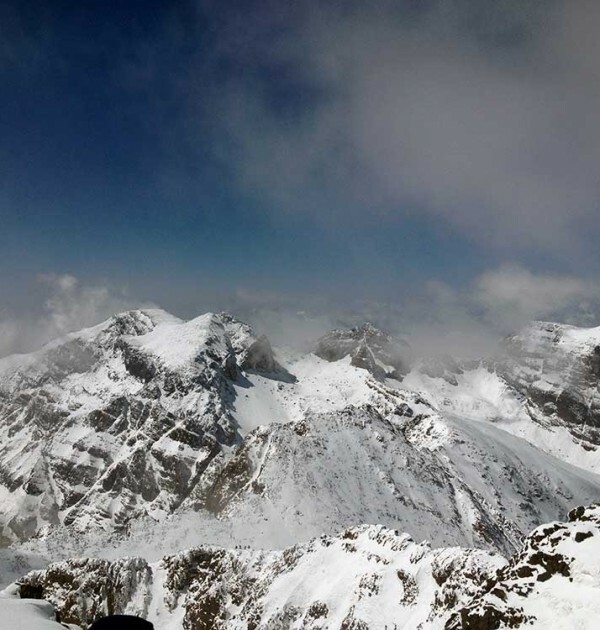 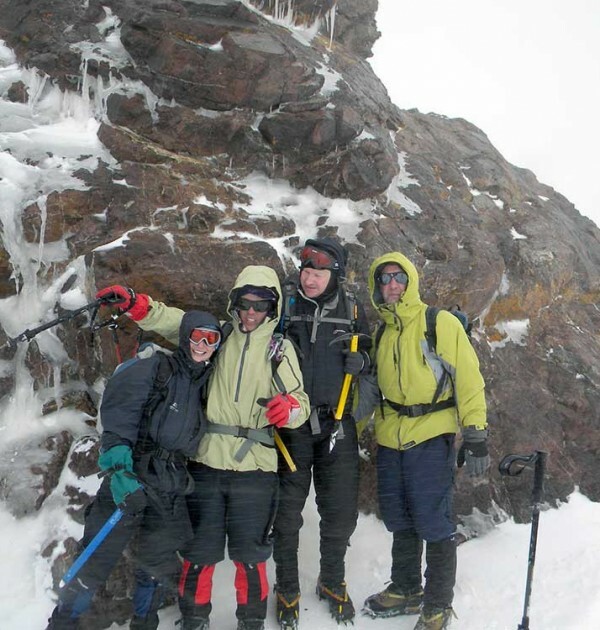 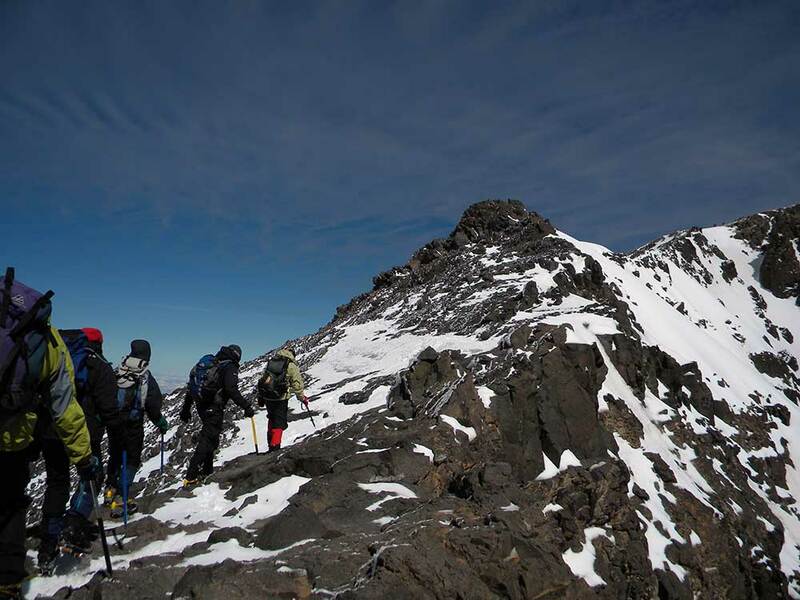 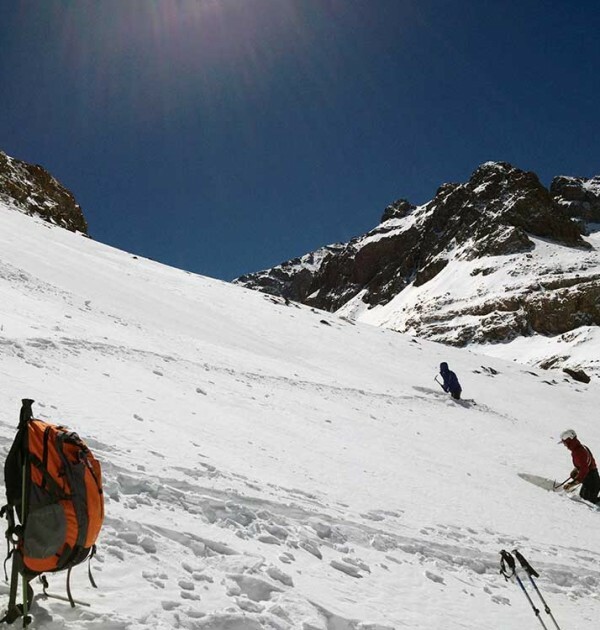 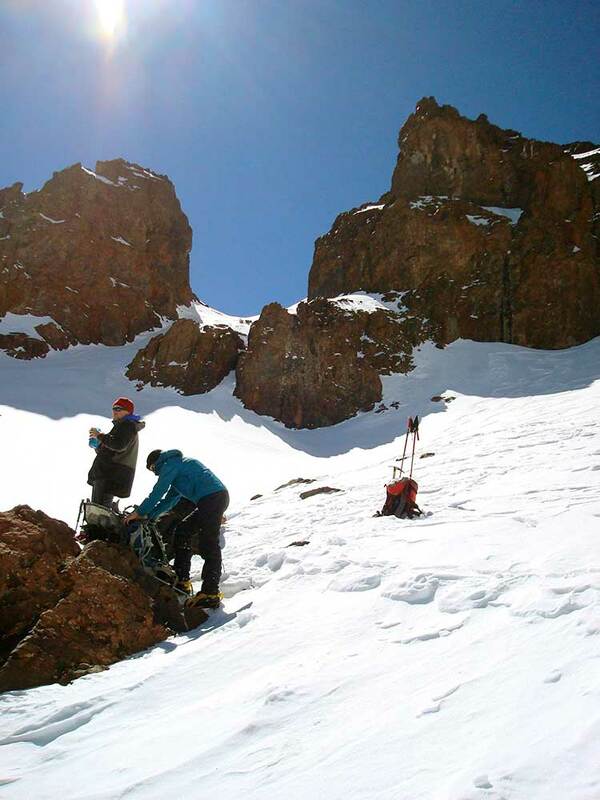 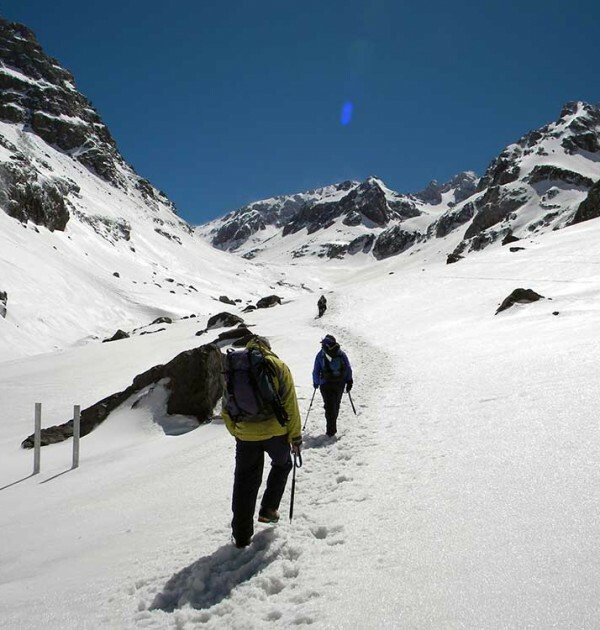 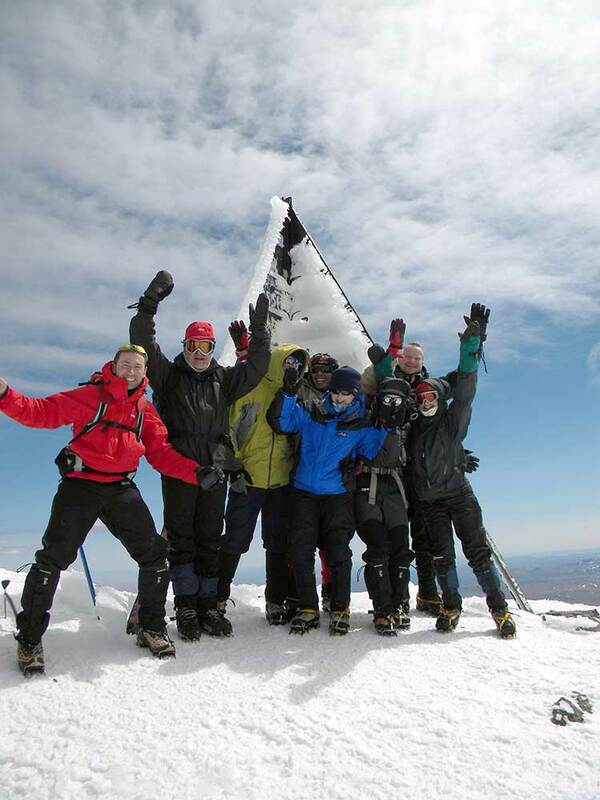 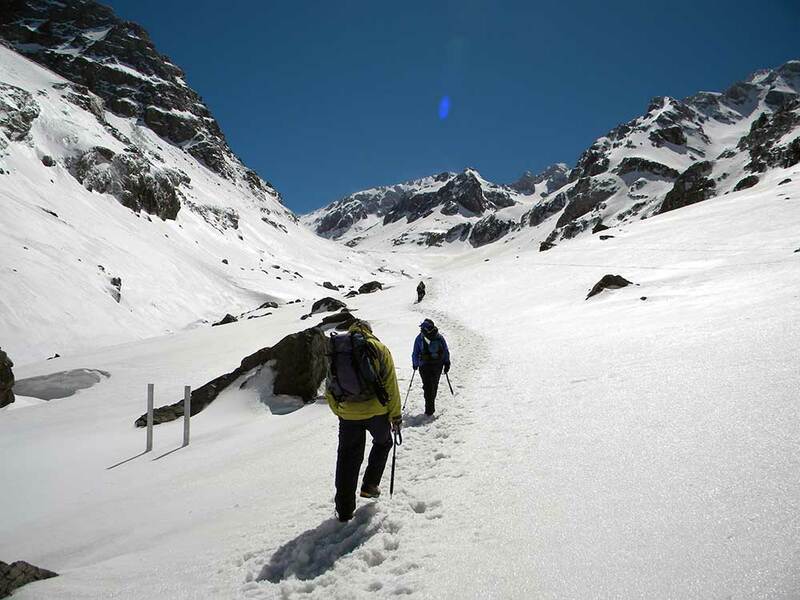 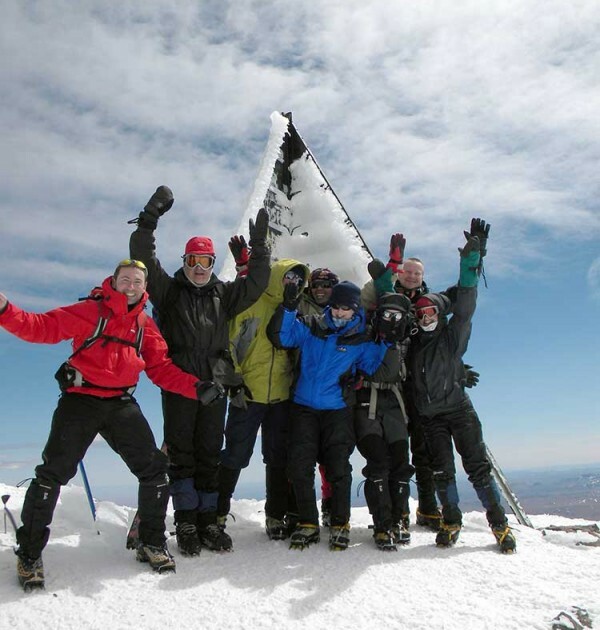 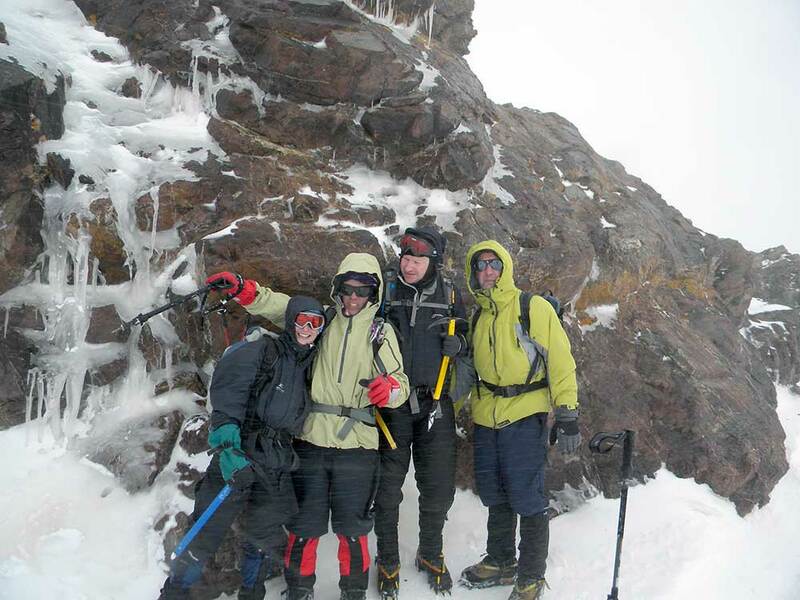 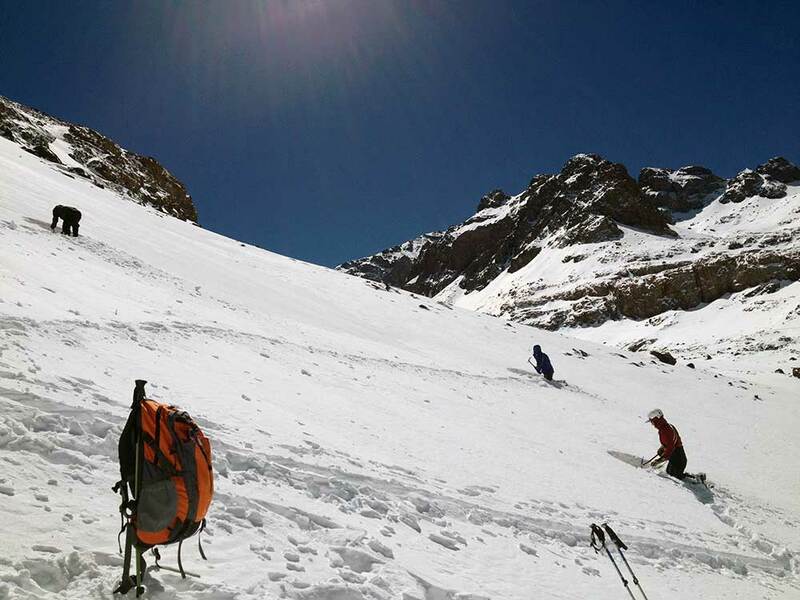 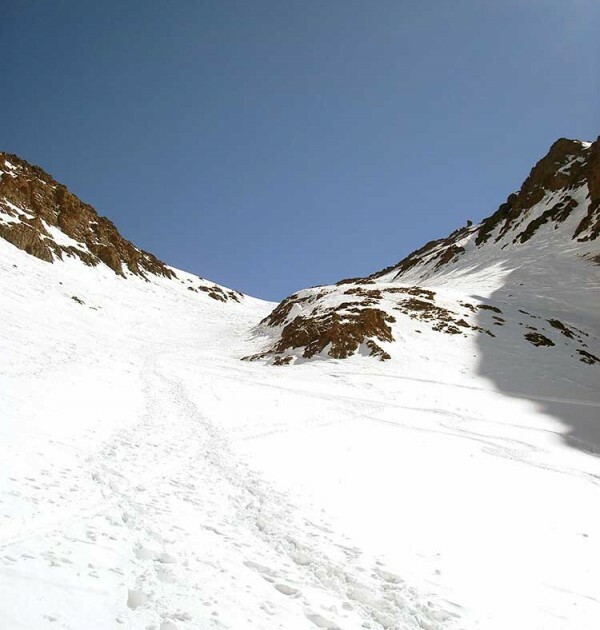 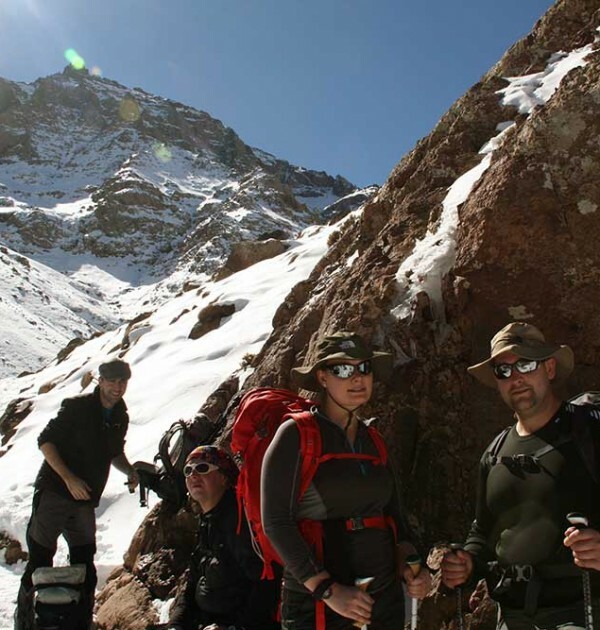 A Winter Mountaineering Course in the High Atlas Mountains of Morocco. 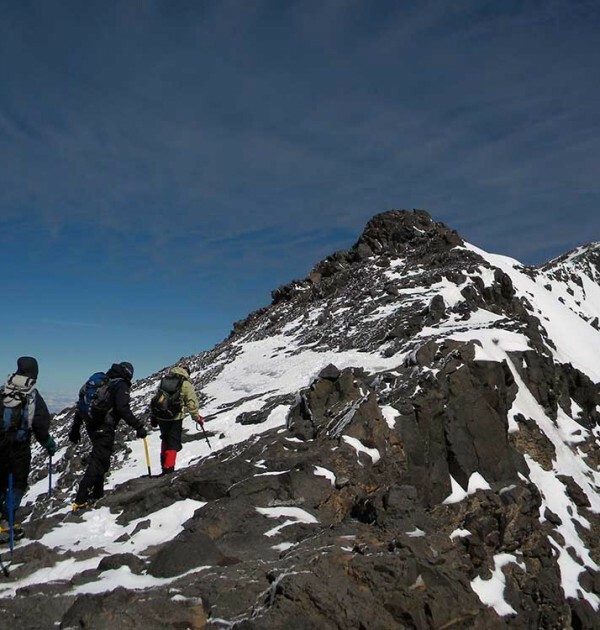 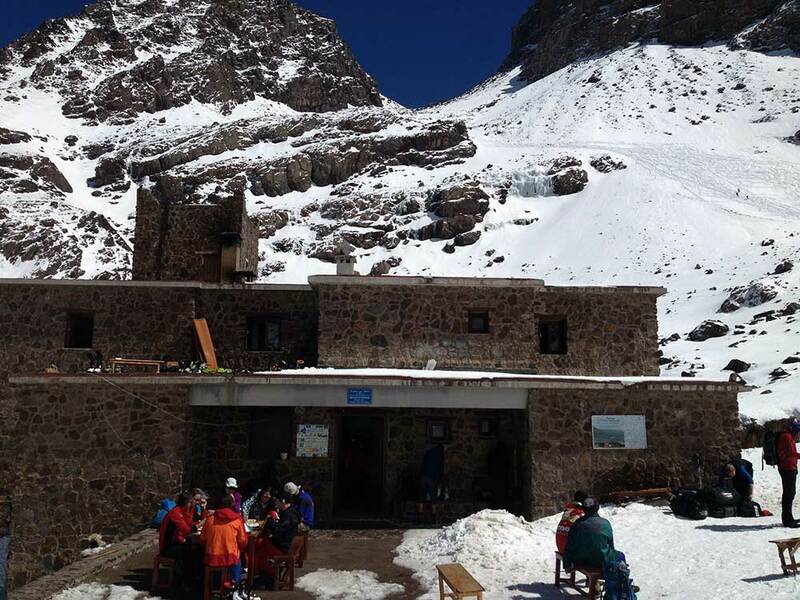 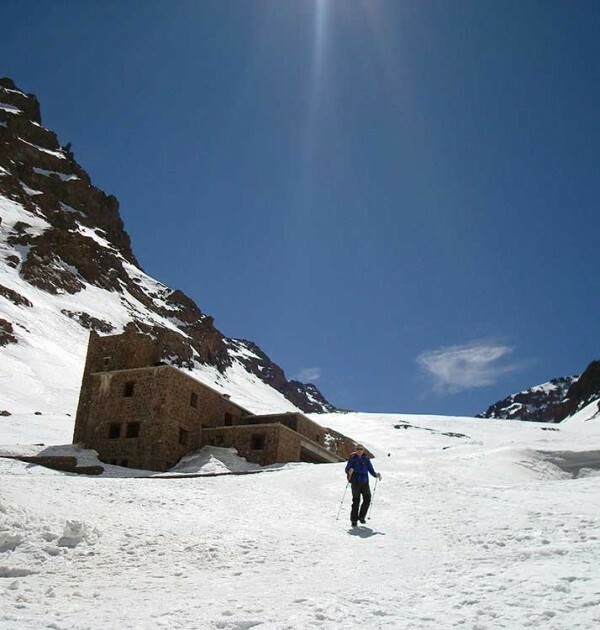 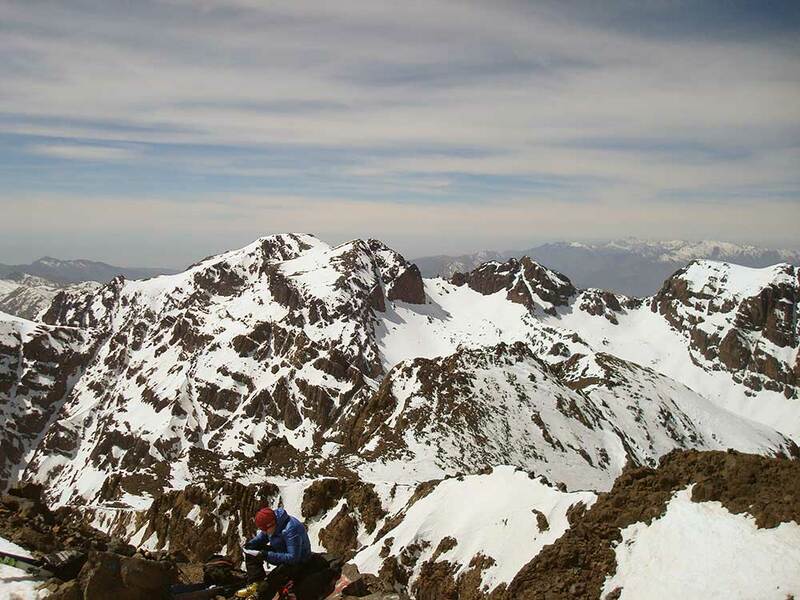 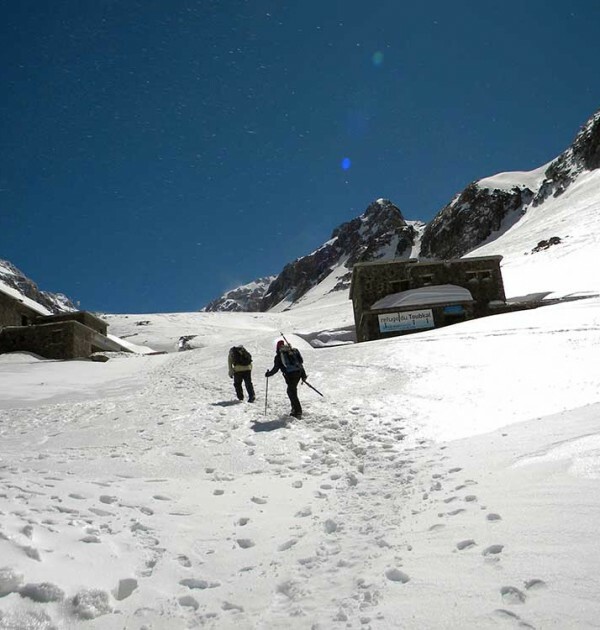 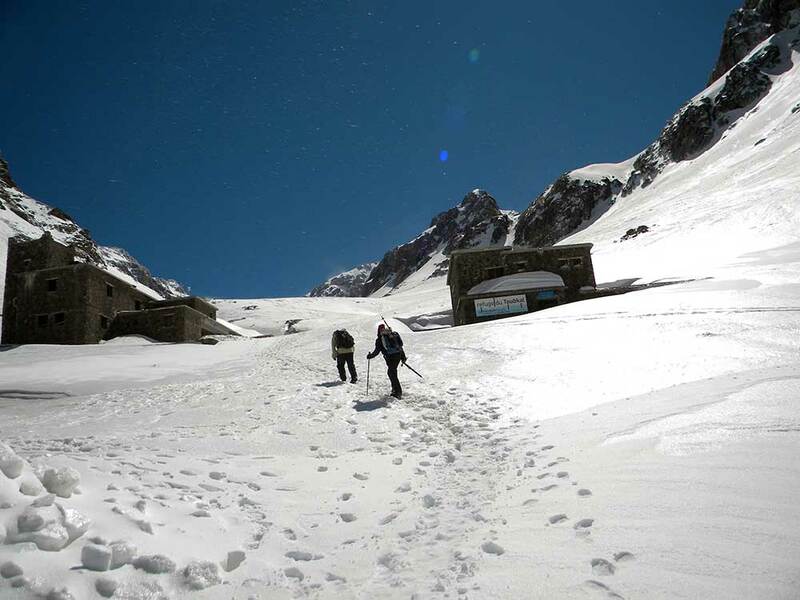 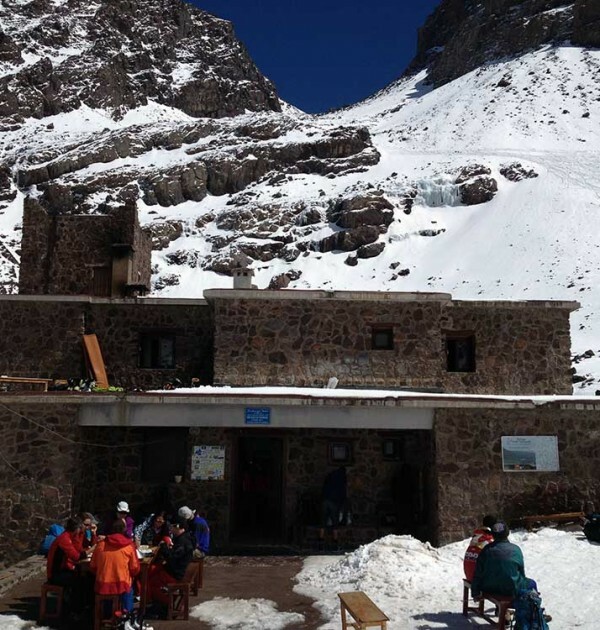 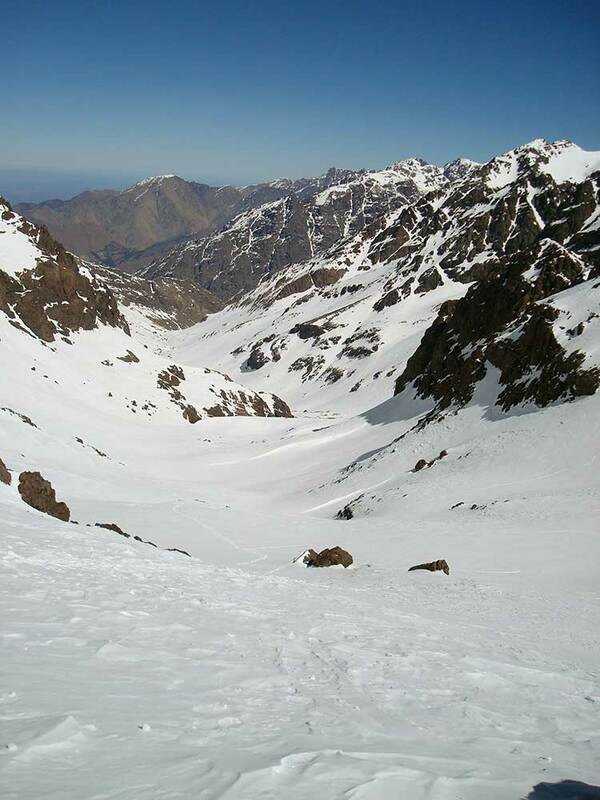 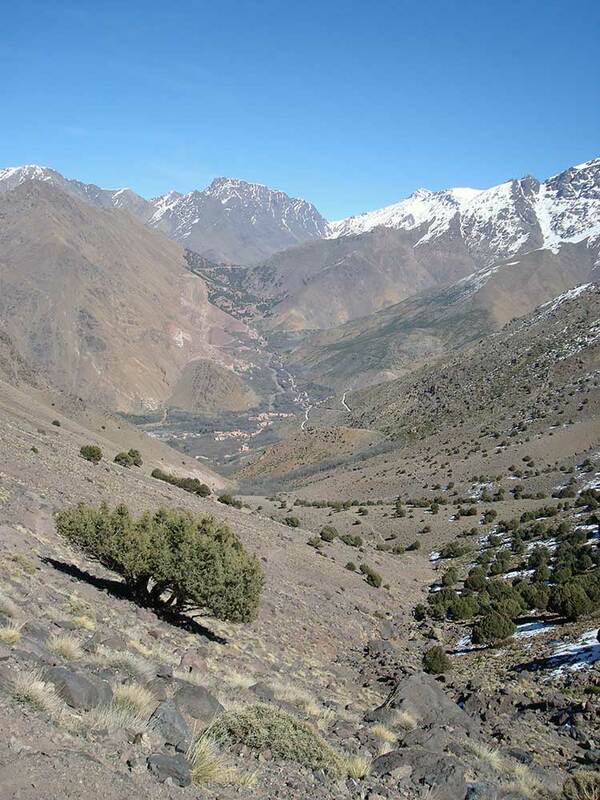 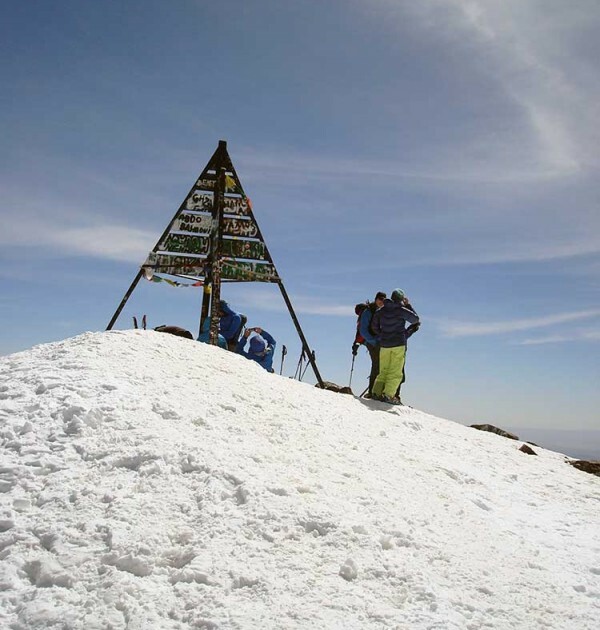 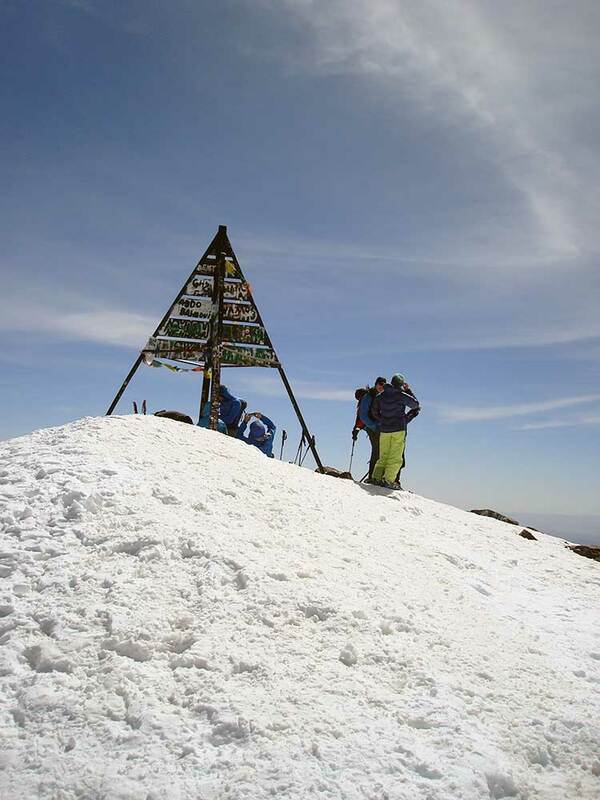 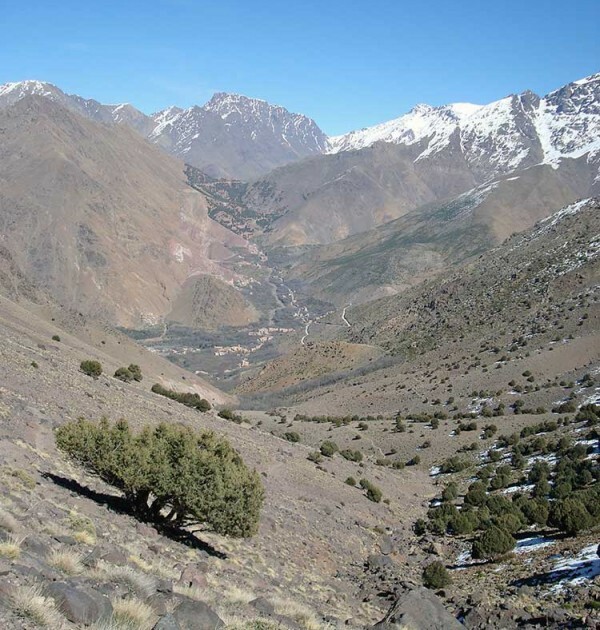 Our Winter Mountaineering Morocco course is based on North Africa’s highest mountain, Mount Toubkal. 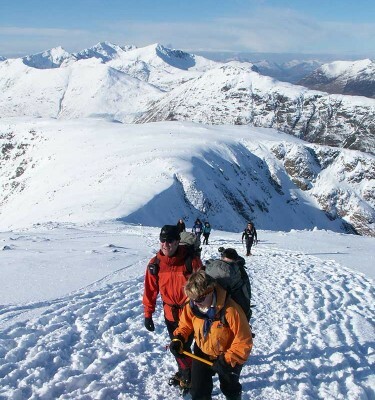 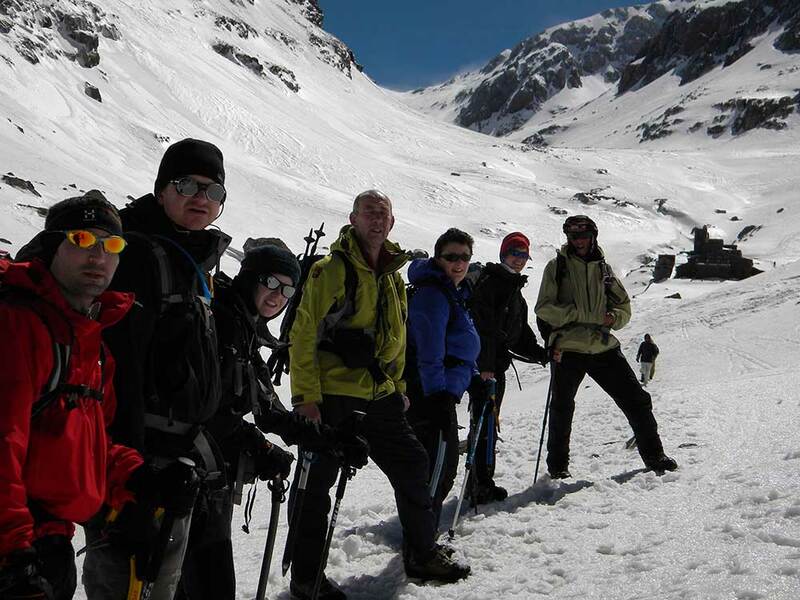 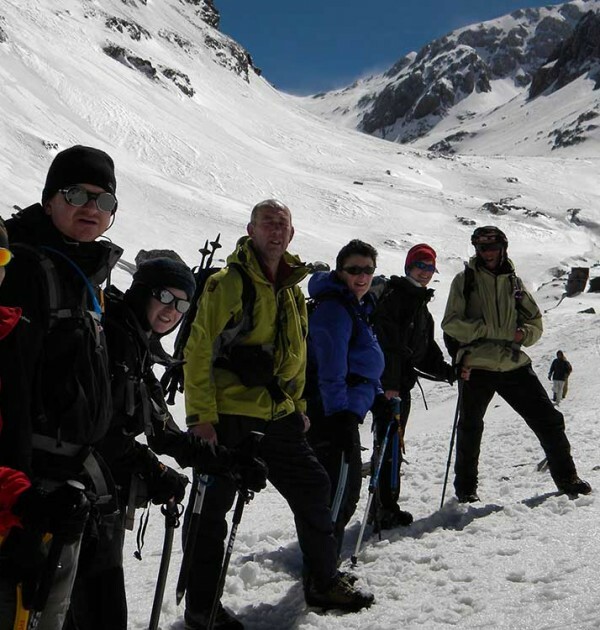 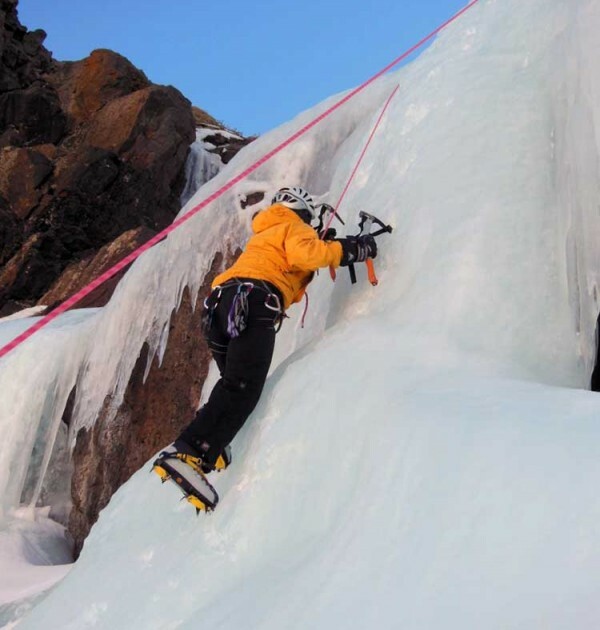 It offers a unique opportunity to do some fine winter mountaineering and ice climbing (subject to conditions) at grades I to II. 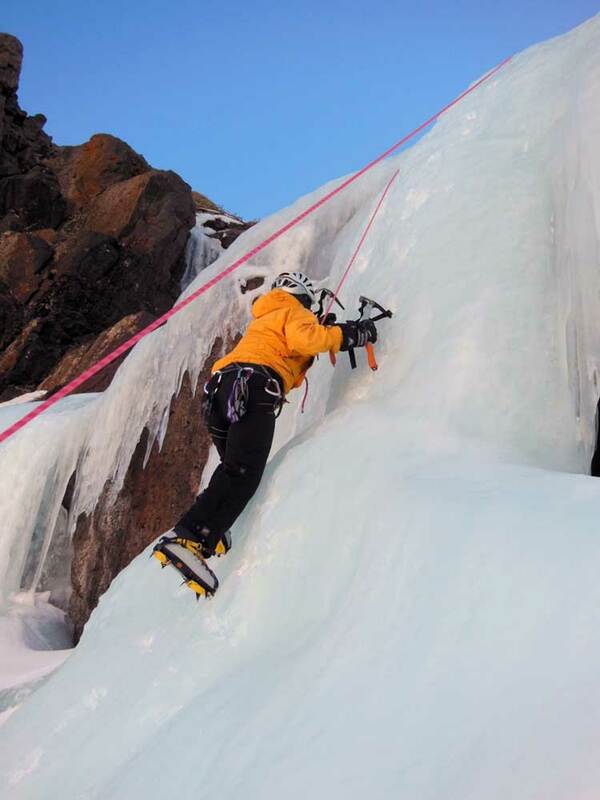 The week will cover: Ice axe breaking and crampon skills, snow belays, rock and ice anchors, multi-pitch climbing, route choice and avalanche avoidance, movement amd techniques. 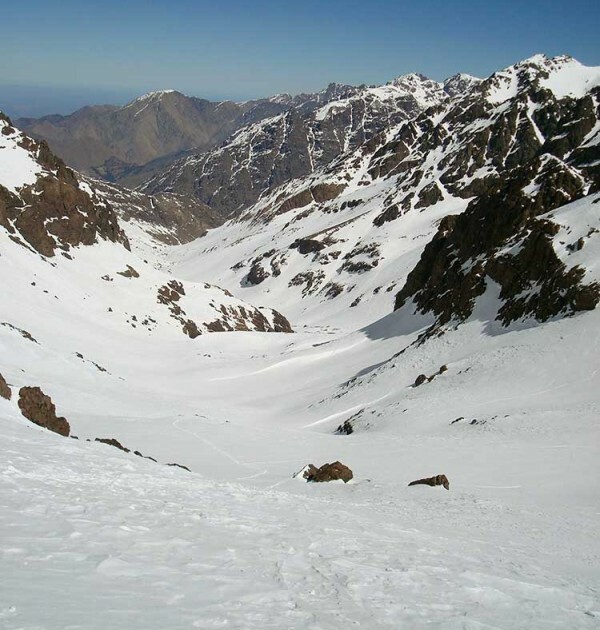 Throughout the course we will aim to ascend some classic routes on Morocco’s 4000m peaks, including Mount Toubkal at 4165m. 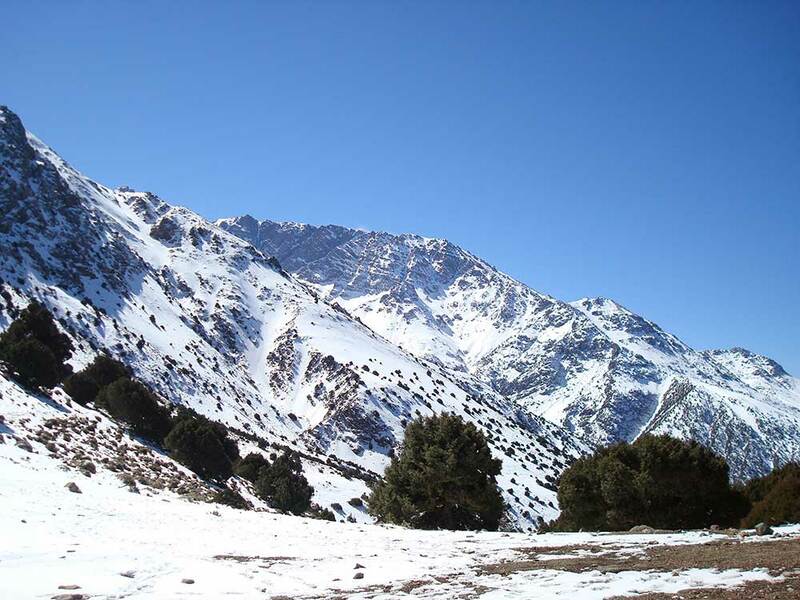 Travel between Marrakech airport and hotel. 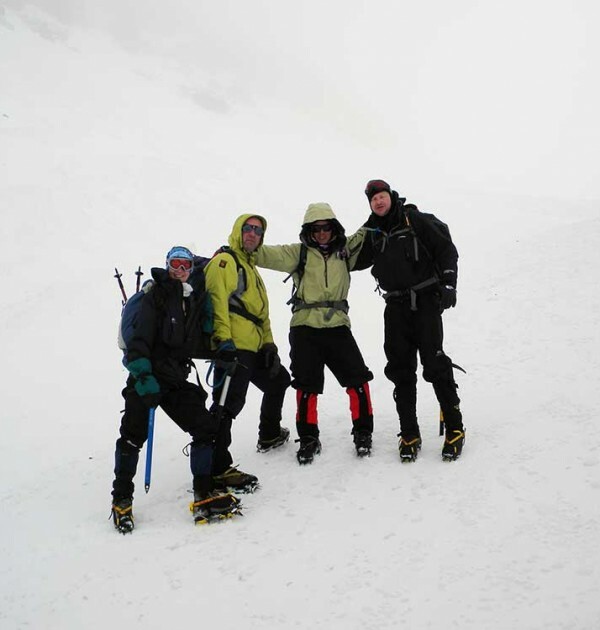 Both guys were very helpful and informative and we enjoyed their company. 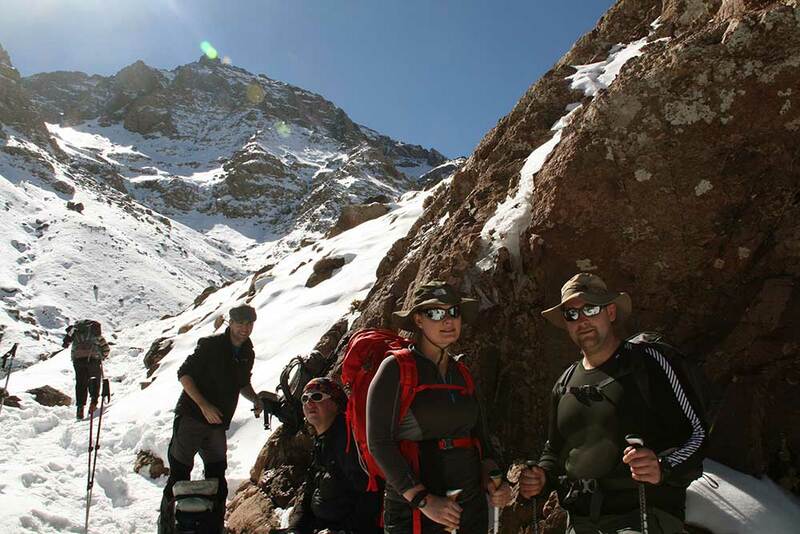 The local guide was also very helpful and looked after us on our end of the track extension. 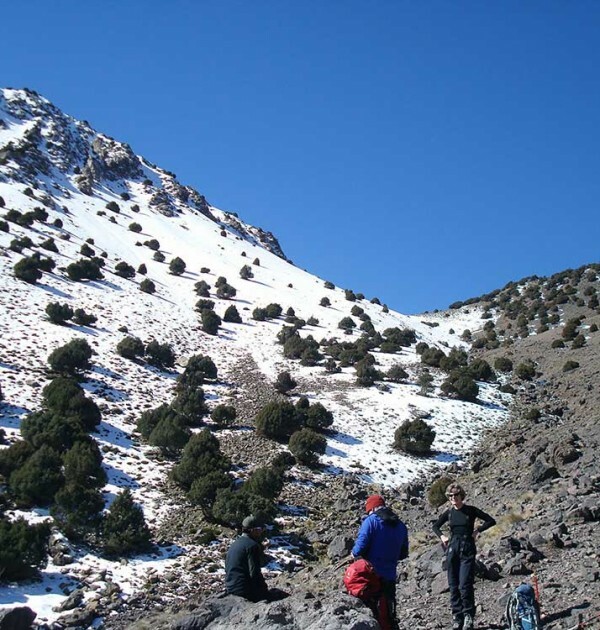 Mike was both helpful and empathetic regarding my plans to use Morocco as training for Danali, and ensured I was on a winter mountaineering skills based trip with an excellent guide – Rob. 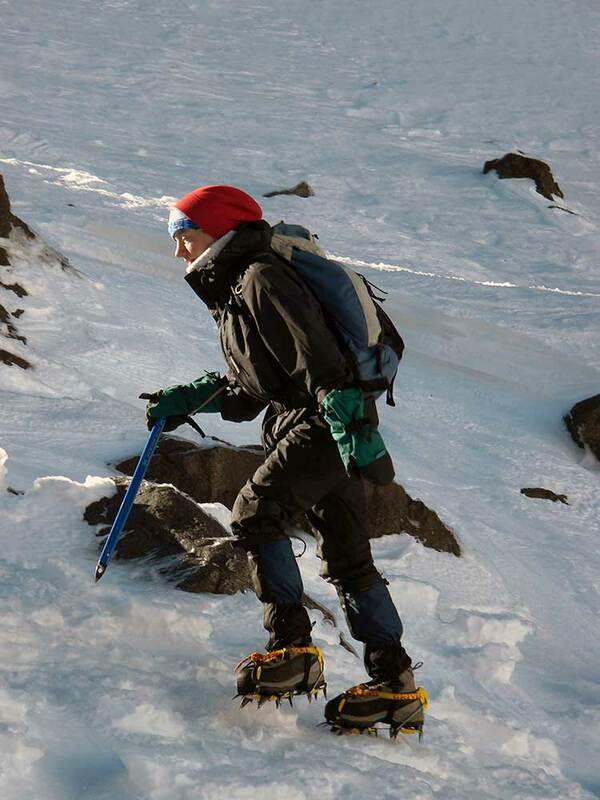 I have always been very happy with adventure peaks. 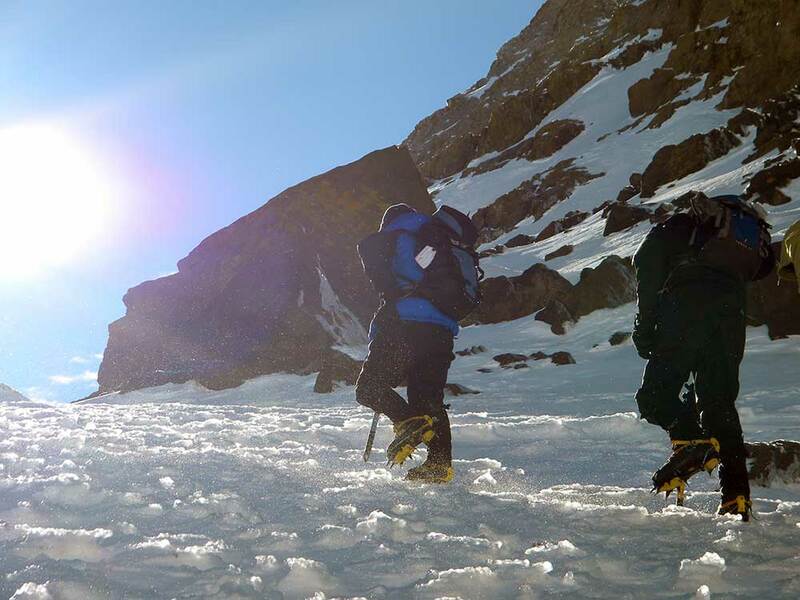 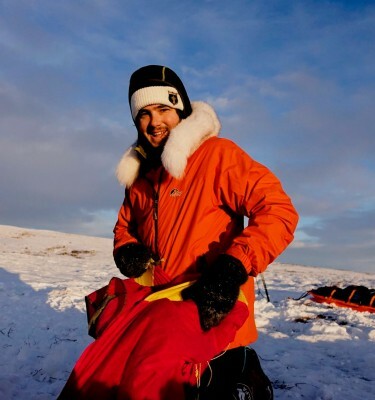 (4th expedition – with Dunali to come!) 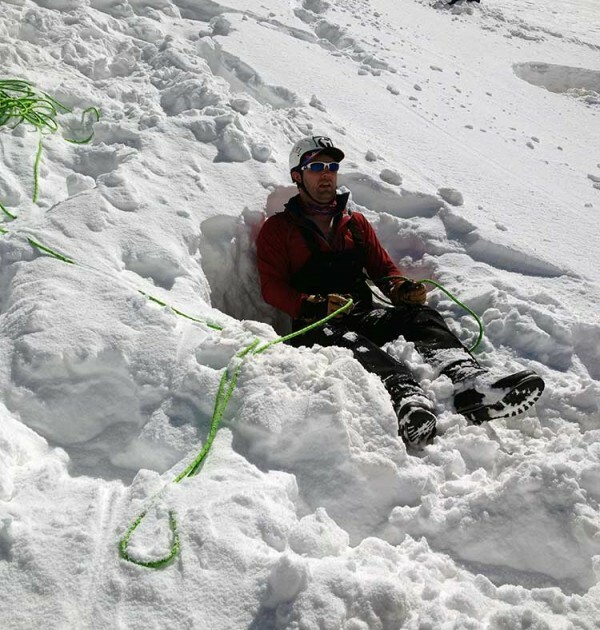 Rob is an outstanding leader and guide. 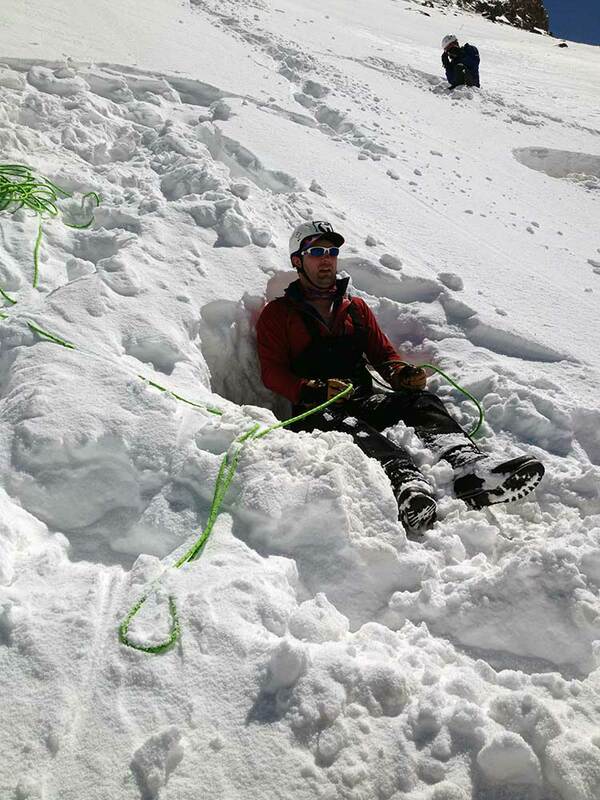 His crevasse rescue moving together skills sessions were clear, precise and exactly turn to our needs. 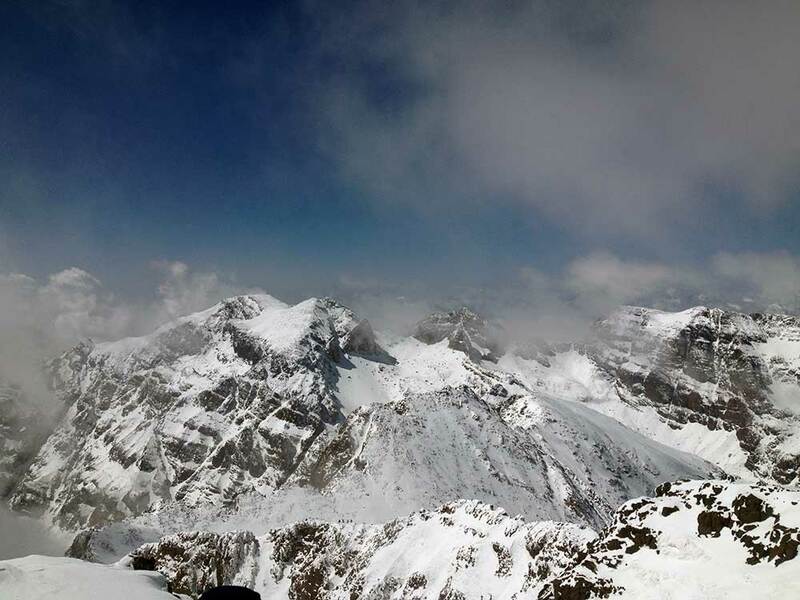 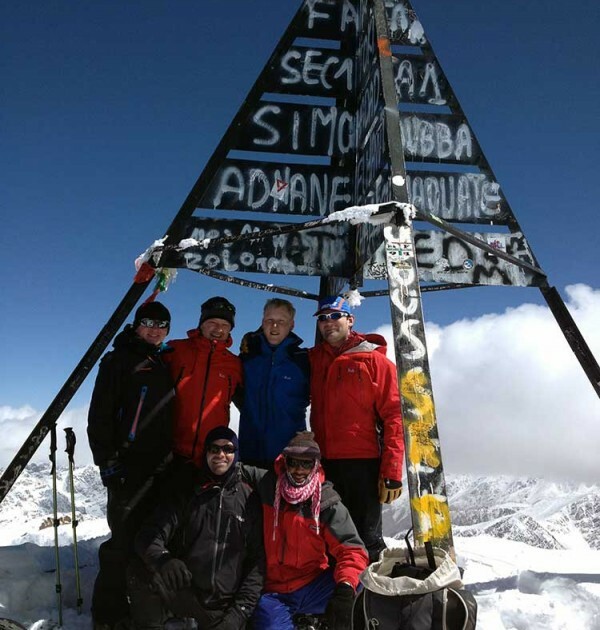 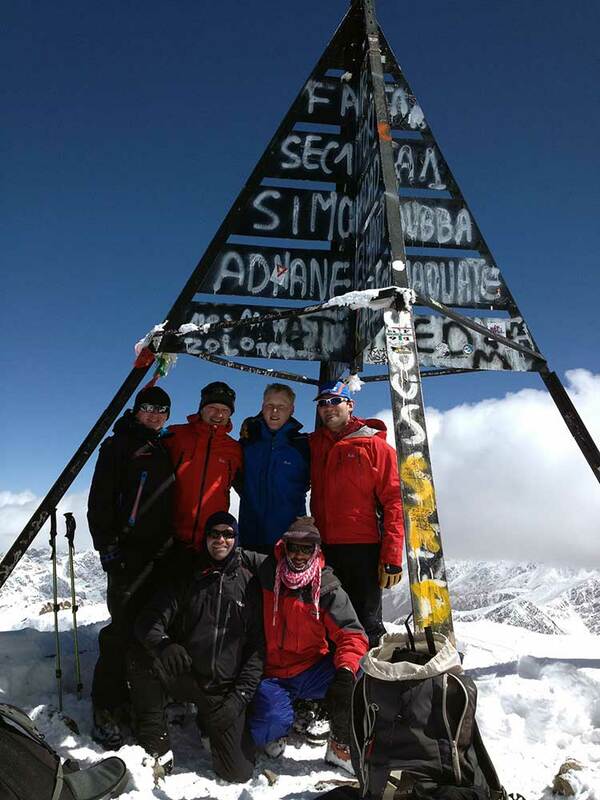 I could not have asked for better – especially as we also summited four 4000m summits. 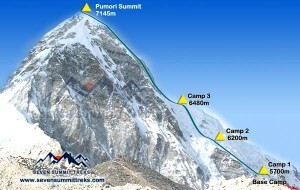 Now, back to Denali training!! 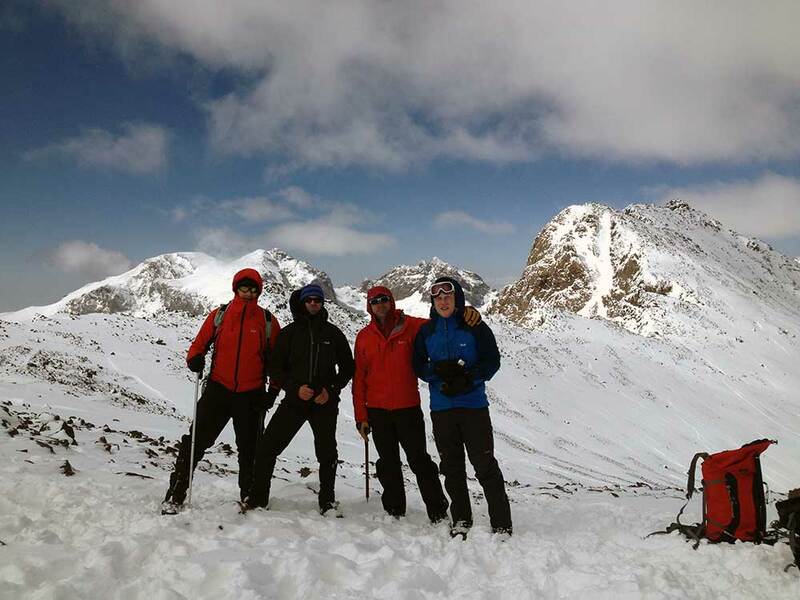 The two guys are excellent, very approachable and willing to share knowledge and experience of climbing and walking from all over the world. 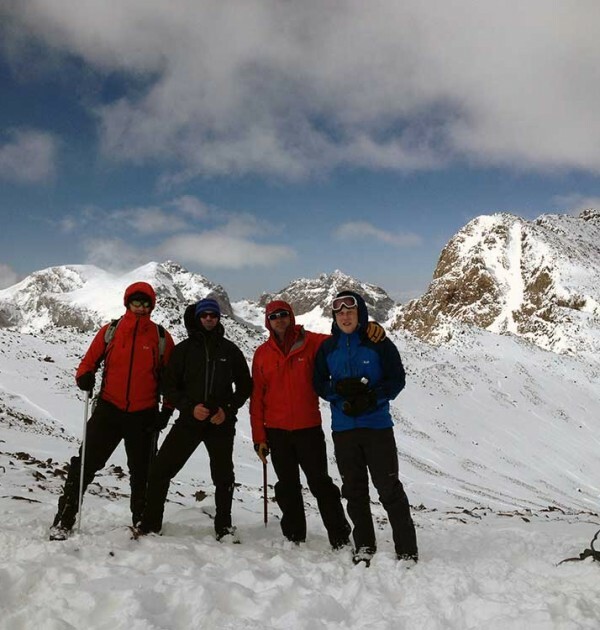 There was good banter between the guides and the rest of the group. 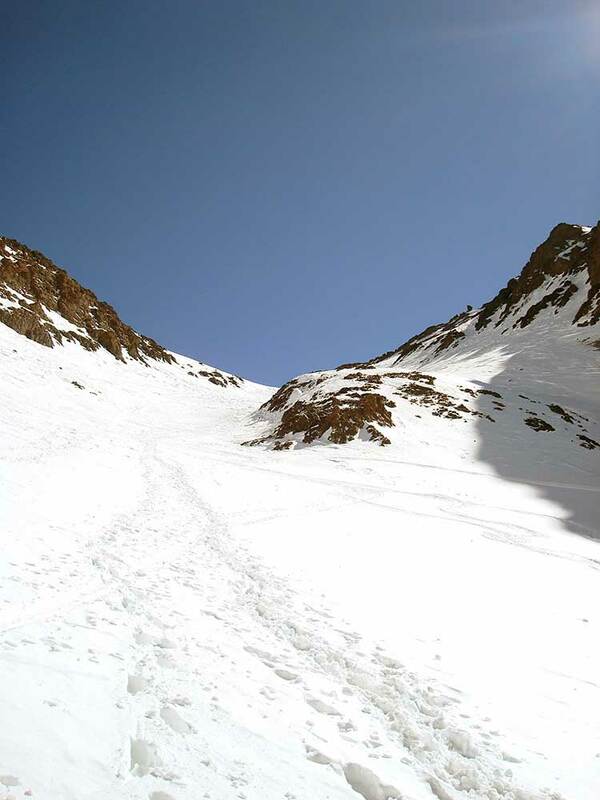 Which meant the week passed very quickly. 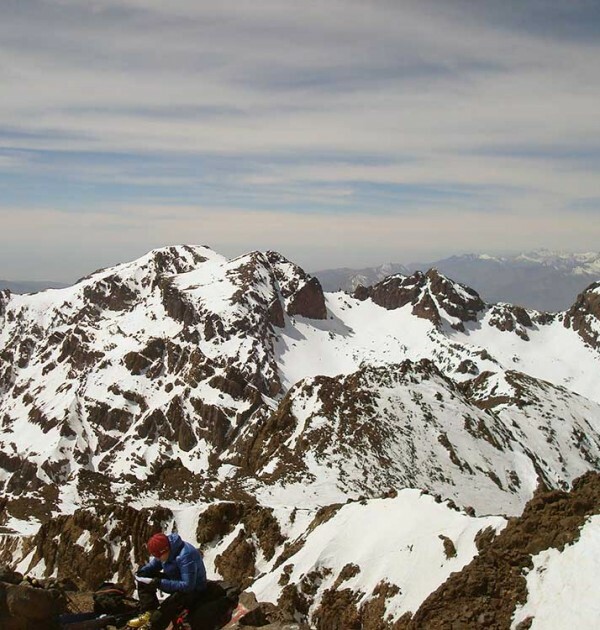 Just thought I’d send you a quick email as I wait for the flight home. 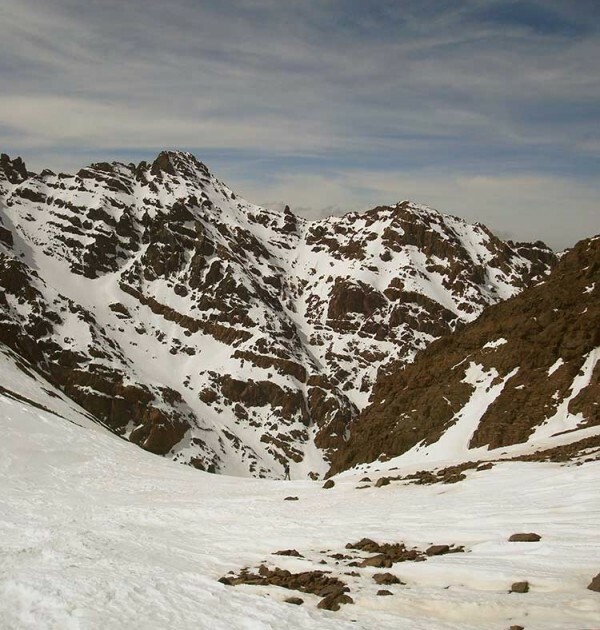 Thanks for recommending Morocco to me and this trip in particular, I’ve had a fantastic time. 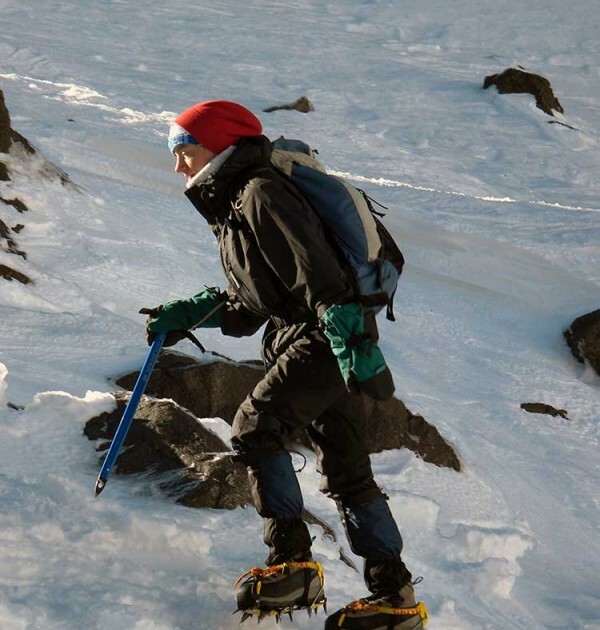 I passed on your best wishes to Mohamed, who was clearly touched by it. 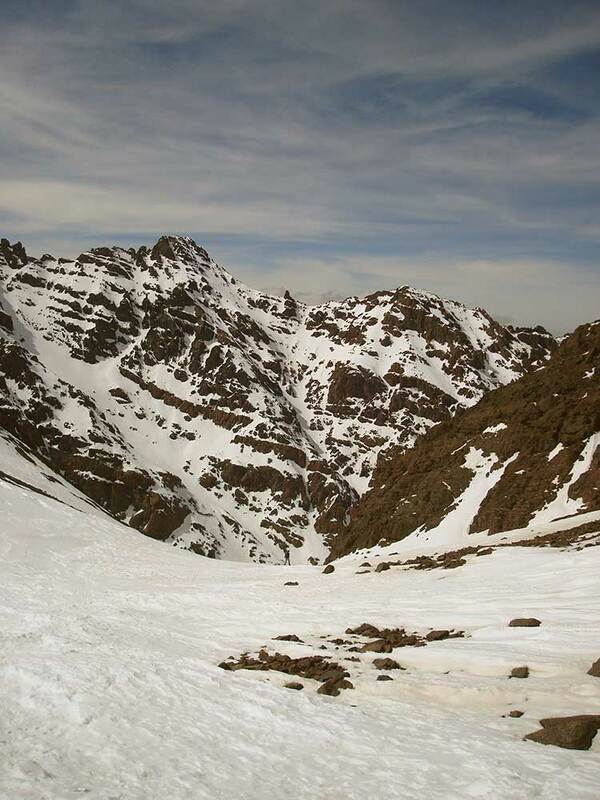 He is a lovely man and clearly holds you in great affection. He looked after us admirably and Hussain cooked far too much excellent food! 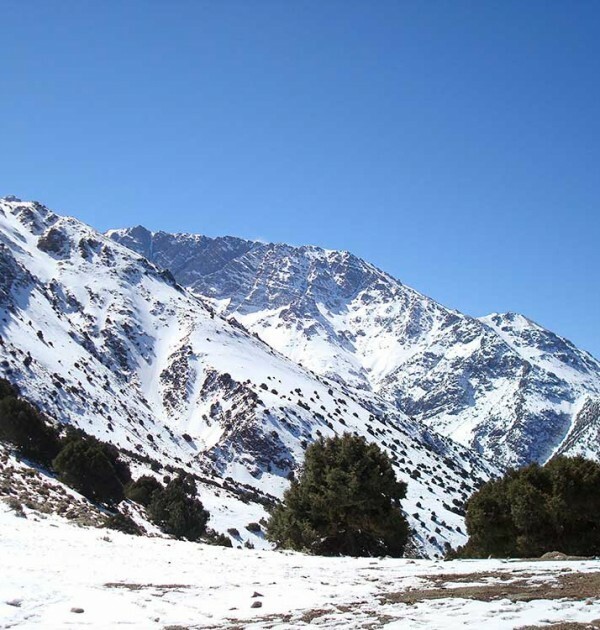 The Atlas Mountains are a beautiful place and the locals so friendly – it is a place I must come back to and would be great to do so on a trip with you.